I don't know that you need the chip but it would probably make things go more smoothly. They have had remote crossings on the Canadian border for a long time, well before any passport had a chip so I don't see why this remote crossing would be different. Scan the chipped passport or show the older-type passport via remote camera - it should work either way. Today, April 10th 2013 was planned as a test day for the opening at Boquillas. So many things needed to be ironed out, perfected, check and re-checked. But first thing this morning, Boquillas Crossing was open for visitors. This could never have happened without Ernesto Hernandez. Uncle Steve and Mike Davidson got together to validate the crossing boat (which Mike Davidson piloted, rowing people back and forth all day). The decision to really go ahead with this was not made until late Monday afternoon (36 hours before the actual opening). But just imagine all the political, cultural entities involved in pulling together for this little town. the Protected Area of the Sierra del Carmen, among so many others. This is just fantastic. The crossing is open Wednesday through Sunday 9 to 5:30. You miss the last boat on Sunday, you are stuck until Wednesday morn. When you get to Mexico there are immigration officers who will ask you to fill out a short visa application. Just remember to turn it back into them before you leave town at the end of your visit. You cannot bring alcohol back. This is not an importation port; that means nothing can be brought back to this side for resale. You cannot bring clothing, food etc. to the people of Mexico through this port (the Mexican Government has issued this). Restaurants are open, bars, etc. A woman in the parking lot asked if the people of Boquillas would barter and did I get any good deals. and you are hoping to make a deal???" It's safe, clean and very, very ready for you!!! Everything seems to be described from the American standpoint. What about Mexicans wanting to come over to the Park? Does the POE process Mexican passports also? desertflwr thanks for that article, it is good to see things happening so well, so far. I agree with the sentiment about waiting 11 years and wanting a good deal. Really lady!? Cynta never said the woman was a lady. Just sayin'. P.S. Someone needs to get Cynta active on here. Great News! Congratulations and thank you to all who made the reopening happen! That's cool Voni that you made day 1.
i am a permanent resident with a greencard and a EU (german) passport...i wonder if i can use that to cross? Any word on the old fellow who used to call himself the mayor of Boquillas? Did anyone get any information about the possibility of staying a few nights in Boquillas, if there are any plans for accommodations? Very cool. Can't wait to go! It was the most amazing day! 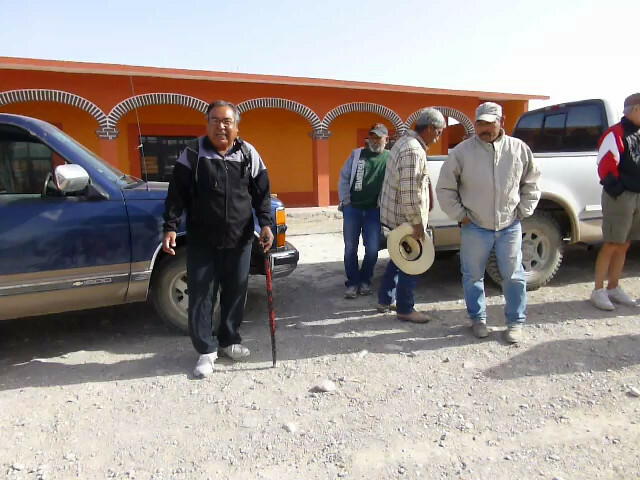 There's a video I took of Victor singing his heart out on the Streets of Boquillas instead of in the River. I was shaking with almost as much emotion as he was! Click and it will take you to the video. I can't even imagine how long he's dreamed of this day! Planning a trip to the Bend with friends, is Boquillas open.